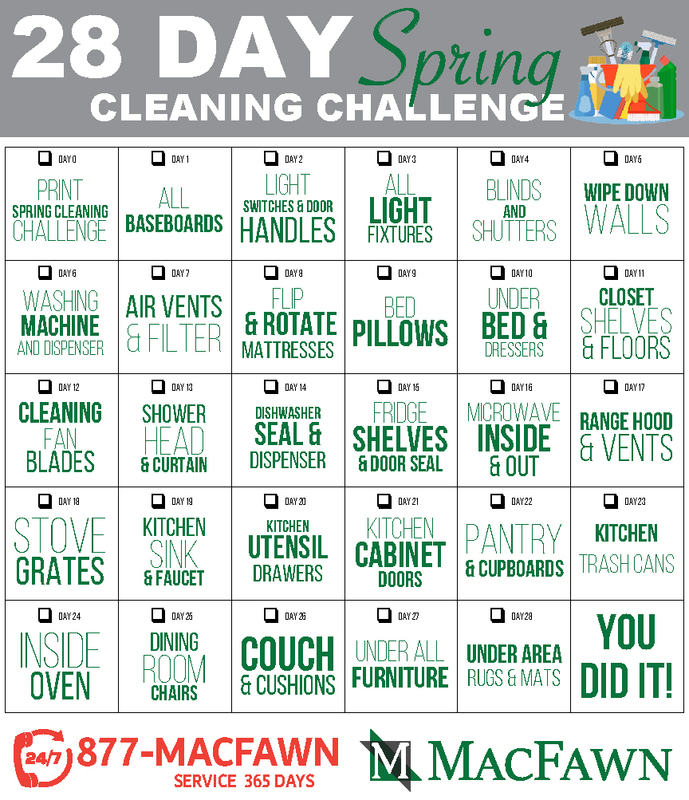 28-Day Spring Cleaning Challenge - MacFawn Enterprises, Inc. The first day of spring was March 20, 2019. Time to get your windows open and start your spring cleaning. This task however can something seem huge and overwhelming. Here is a 28-day spring cleaning challenge to get it all done but over a period of time. This will help keep you on track, while making sure you get all items cleaned up that are needed.